To keep the fleet up and running, it’s crucial to ensure vehicles and equipment receive regular preventative maintenance (PM). The process of staying on top of PM has long been a struggle for fleet managers. Using a whiteboard in the office to track services and odometer readings often results in essential services falling through the cracks. That’s why many fleets are turning to technology as an automated solution to this manual problem. There are two ways many fleets are automatically managing fleet maintenance. 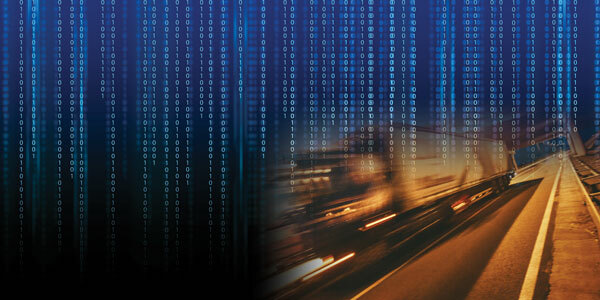 They are using GPS tracking software that provides vehicle data to include usage, mileage, and diagnostic trouble codes in addition to the ability to schedule maintenance, and set up reminders, though it does not integrate with work or purchase orders. Another method is integrating GPS tracking and maintenance software, which allows you to schedule maintenance, incorporate work completed, and track purchase orders as well as receive the vehicle and asset data in one solution. Depending on your needs, GPS tracking on its own may be the right fit to solve your maintenance issues, or you may require a combination of the two systems. Vehicle downtime due to unplanned maintenance is costly for any organization. Unexpected repairs take away from the bottom line, especially if the repairs have to be made more than once. Along with the cost of the repair itself, keeping track of maintenance by hand is also costly when considering the man hours it takes to enter and retrieve the information. This process involves someone going out to the vehicles each day to write down odometer readings or testing for an issue and researching diagnostic codes. That’s why many organizations turn to GPS tracking to improve maintenance management. GPS tracking software will automate any PM service that needs to be complete for vehicles and assets, from oil changes to tire rotations, and even car washes to keep wrapped vehicles clean. GPS tracking software provides automated reminders when service is due, as well as a digital log of information such as service costs and any additional service that needed to be performed. Service intervals can be set based on mileage, run-time hours, or even dates (this can be used for inspections, registrations, and warranty renewals). Automating maintenance means removing the guesswork and manual process of keeping it up to date. Overuse of vehicles and assets will reduce their lifecycles, meaning they need to be replaced sooner than expected. Overuse happens in many ways. For instance, employees may use their favorite vehicles and assets over others – shortening the lifecycle and leaving others unused for long periods. Most wear and tear that takes place comes from how vehicles and assets are used. To reduce unauthorized usage, you can set up an alert that will notify you when vehicles are traveling places they shouldn’t or running during times that they shouldn’t. This helps eliminate side jobs, personal errands, and any other unapproved use of company owned assets. Another way to reduce mileage is to improve dispatch and monitor routes taken. By sending the best vehicle to a job site and ensuring they take the best possible route will cut daily miles driven and ultimately reduce wear and tear. Idle time is often a problem for fleets. You may not realize how much additional run-time your assets experience and how much fuel is wasted on a daily/weekly/monthly basis. If you can control excessive idling, you will reduce vehicle wear and tear. This can be accomplished with GPS tracking software by automating an alert to be sent to the driver of a vehicle that idles for more than an acceptable amount of time, telling them to shut-off the vehicle. Some organizations need a fleet maintenance platform that includes work order management for repairs, parts inventory management, and more. 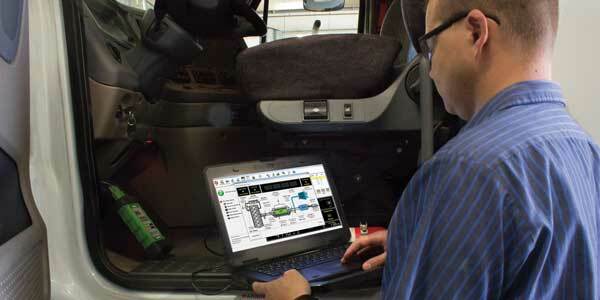 This is where a robust fleet maintenance software becomes incredibly valuable. 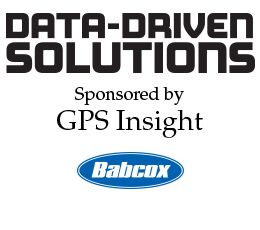 The advantage of integrating GPS tracking data into fleet maintenance software is gaining the ability to set up preventative maintenance that includes odometer readings. This helps trigger maintenance more accurately, allows fleets plan for downtime well in advance and keep detailed records of parts, costs, etc. It also keeps vehicles and assets rotating, on the road longer, and allows your organization to be as productive as possible. Once a preventative maintenance alert is received on the fleet maintenance side, then any necessary parts can be ordered, work orders filled out, and maintenance completed in as little time as possible. Ultimately, the right technology to help your fleet stay on top of preventative maintenance depends on how your business operates. The most important aspect is that the software solves all your challenges. Implementing GPS tracking software then realizing it doesn’t provide all the solutions you need, or doesn’t integrate with another software that does offer those solutions, will be a headache down the road. Doing your due diligence while researching these technologies to ensure it checks all the boxes will help you choose the right option to streamline maintenance management, as well as reduce costs, reduce risk, and increase revenue.